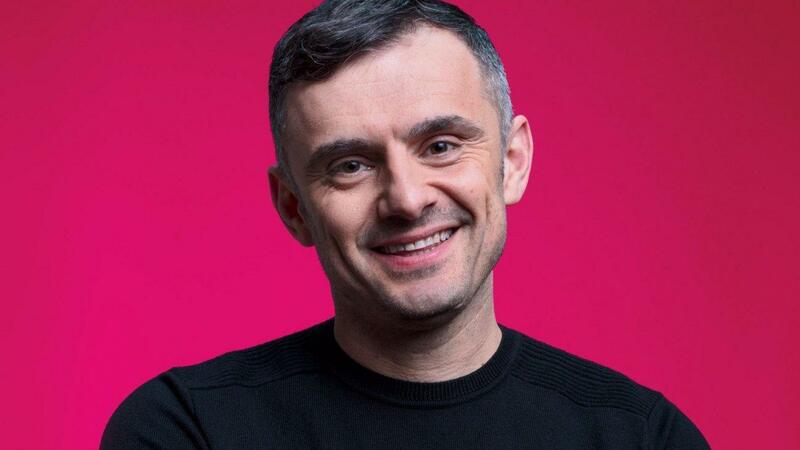 Gary Vaynerchuk is half man, half brand, half digital experiment. And somehow, that all adds up. Gary Vaynerchuk arrives at his Manhattan office at 8 a.m. There’s no slow ascent -- no sipping coffee while scrolling through emails, no idle chitchat to forestall the onslaught of responsibility. Instead, as he does every morning, he quickly huddles with the two people who will accompany him throughout the day: his personal assistant, which is typical of most executives, and his personal videographer, which is, let’s just say, a profoundly Gary Vaynerchuk kind of role. The assistant, Tyler Schmitt, runs Vaynerchuk through the day’s schedule. There are 24 meetings, including check-ins with the staff and clients of his digital media agency, VaynerMedia, as well as a wild assortment of guests -- social media stars, athletes, actors, musicians, many with entourages in tow. As usual, the action will be captured by the videographer, David Rock, nicknamed D-Rock. When the time comes, D-Rock will raise his camera, train it on his boss and barely take it off him all day, except during sensitive client meetings. At 8:10, the guests start arriving. There’s an with a potential executive hire, a podcast recording with founder Kevin Rose, a talk with a young Dallas entrepreneur who won face-to-face time with Vaynerchuk in a Twitter competition. Then another meeting, and another, in blocks of five minutes up to an hour, with Vaynerchuk gesturing, laughing, swearing freely, peppering each visitor with questions and offering assessments. “You need a teammate, so let the things you aren’t gravitating to yourself lead you to the partner you’re looking for,” he tells Daina Falk, creator of the sports tailgating site. “I really do think Facebook is Netflix’s biggest competitor, so listen -- write a TV show, but do it on Facebook,” he tells Greg Davis, Jr., a.k.a. Klarity, a 32-year-old actor who wants to expand his social following. As your business grows, your original road map may not be the best path to success. But letting go of your vision (and control) is not easy. An increasing amount of founders are looking to folks who've been there and done that -- and benefitting from their hard-earned expertise. What's Your Company's 'Voice'? Here's How to Figure It Out. The athlete is working to get sports leagues to embrace cannabis and CBD as a valuable resource for healing. The shaved-ice franchise focuses on community engagement to build year-round demand for the warm-weather treat.